Board-certified general surgeon and vein specialist, Peter Morgan, MD, has over 26 years of surgical experience and works under the notion that all men and women deserve superior, state-of-the-art medical care. 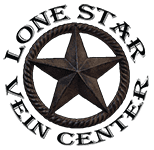 In two convenient locations in Pasadena and The Woodlands, Texas, Dr. Morgan provides various services, including radiofrequency ablation for varicose veins and the innovative Cutera® Excel V system for spider veins. After high school, Dr. Morgan joined the United States Navy as a jet engine mechanic during the conflict in Vietnam. He went on to study chemistry at the University of New Orleans, where he was placed on the accelerated honors program at the Louisiana State University Health Sciences Center. Dr. Morgan received his medical degree and finished an internship and surgical residency from the Louisiana State University in Baton Rouge. Most of his training was completed at the prestigious Charity Hospital in New Orleans. Following additional training, Dr. Morgan dedicated his own practice to the diagnosis and treatment of venous disease and has performed thousands of minimally invasive endovenous procedures to treat leg ulcers, leg swelling, varicose veins, and other symptoms of chronic venous insufficiency, making him one of the most experienced endovenous surgeons in Texas. Acknowledged for his quality care and commitment to the medical field, Dr. Morgan won the Living Best of The Woodlands Readers’ Choice award for best vein doctor in 2013, 2014, and 2016. Dr. Morgan treats some of the most severe cases of chronic venous insufficiency and yields impressive treatment results due to his expertise, experience, and advanced tools and technology. He’s participated in various research papers and has a special interest in traumatic thoracic aortic aneurysms and theoretical chemistry. He currently trains physicians and ultrasonographers at Lone Star Vein Center. Dr. Morgan speaks both English and Spanish, allowing him to better communicate with a diverse group of patients. He resolves cosmetic concerns and dedicates his time to the diagnosis and treatment of vein diseases, from leg ulcers and leg swelling to varicose veins. When he isn’t serving patients, Dr. Morgan enjoys ranching, cave diving, hunting, and spending valuable time with his wife and children.